It’s working all day and into the evening again – I’m beginning to have some severe misgivings about my ability to compartmentalize. At least this evening’s work consists mostly of trying to wrestle my camera into compliance. I’ve had this DSLR for years, and it’s large and bulky and inconvenient for carrying on foot many miles but produces some pretty great photos. Or would, if I could figure out how to get it to override the settings that stick with it even in “manual” mode. After about an hour of futzing, I call it done enough. Night shots aren’t this machine’s forte. lightroom does okay, though. better if I wasn’t a noob. Lesterville is our destination come the evening, but we relax our way into the day. Spesh’s geology itch needs a’scratching, so we head out and around Lake of the Ozarks State Park to Ozark Caverns, a small karst cave system on the south side of the park. Nothing’s allowed in except the clothes on our backs and the shoes on our feet – the fungus that spreads White Nose Syndrome, deadly to bats and limited to North America, is present in this cave, and they figure the main vector of spread is people visiting multiple cave sites while vacationing1. There used to be hundreds of bats in this 1.5-mile cave system, but their numbers have been dwindling to the point where they haven’t found any this year – and they don’t expect that to change. So the folks here are doing everything they can to stop the spread, storing keys wallets phones away in a locker and encouraging us to wash our clothes and ourselves before we enter any other cave system. 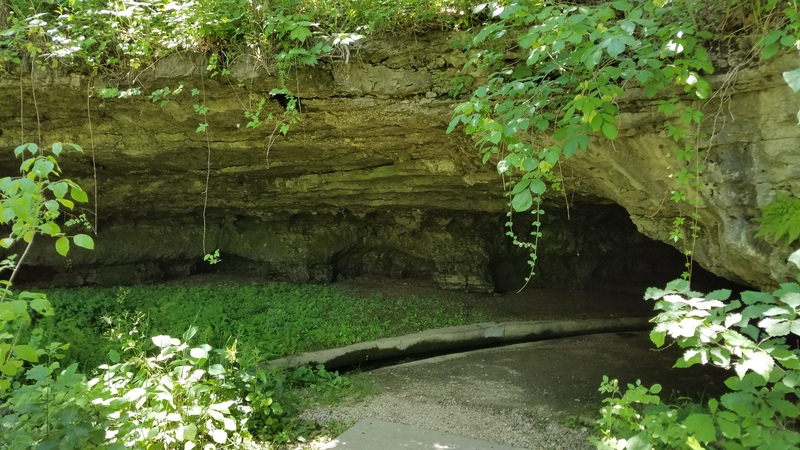 Ozark Caverns has been rehabilitated, which is to say it was formerly developed – with graded walking paths and lights – but the lights have been taken out to prevent algae and better care for the cave’s ecosystem. Not that there’s a lot to be said for the latter these days – there used to be fish and salamanders inside, but bat guano is one of the main pillars of a cave ecosystem. Without that nutritious waste, there just aren’t enough nutrients for other things to thrive. As I’m bobbing and weaving through the narrow sections of the cave, I do see a rather large spider about three inches from where my head has to go. Well. I’m glad that something can still survive down here. Then it’s south and east, to the heart of Missouri, towards the Mark Twain National Forest. 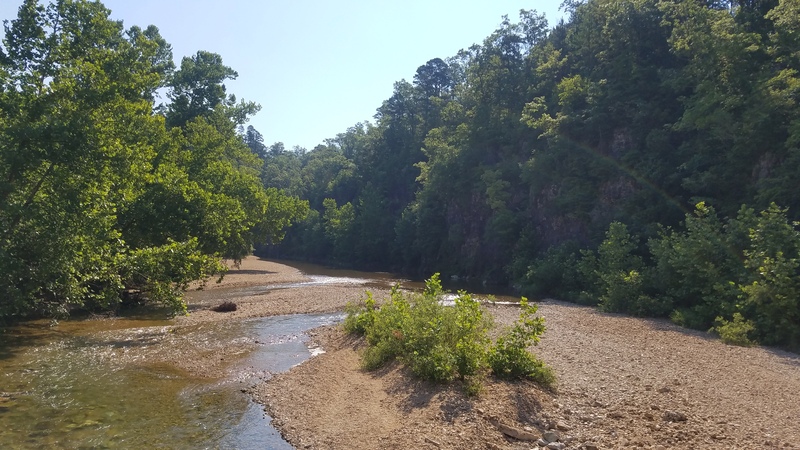 Our campsite for the evening is at Sutton’s Bluff, a few miles from where we’re sleeping, off the main highway down another highway and then a few miles down a dirt road, past an Ozark Trail trailhead. We arrive so early it’s still light out, but I’m exhausted anyway, so it’s a combination of cloudwatching and naptiming while Spesh talks to the Ozark Trail Association workers down the way. We sleep with the rain fly off, with only intermittent interruption from the exuberant boy-children at the campsite across the way. Thursday morning we wake early, too early, so we head to the Lesterville gas station to kill some time. We have a frank talk about our experiences so far – things have been different than we expected, and harder in more ways than we expected. Two months in and we’re tired at heart, looking forward to our vacation and month of work in Colorado. And then we arrive at Sherwood Forest, and we’re energized anew. 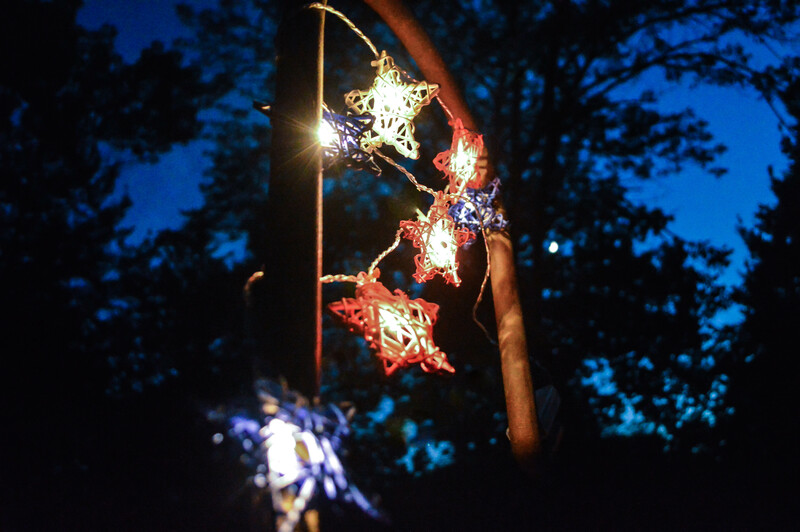 Sherwood Forest is, technically speaking, a non-profit that runs two month-long youth camps, one for girls and one for boys, serving kids from St. Louis and Southern Illinois whose families are at or under the federal poverty line. Camp fees are $75 for the month, including meals – and even that’s waived in cases of extreme need. Every day, these campers are outside on 478 acres, interacting with others their own age and others from 1st-9th grades. Most of the campers are returning for their second third fourth fifth year – and a number of the staff are former campers. Working with younglings is always a delight, but getting urban youth outdoors is near and dear to my heart, and I loved being able to work physically with an organization doing the work instead of raising money from afar2. We’re feeling energized after our time there, so we decide to start the drive back towards Colorado and vacation and, eventually, more work. I mean, vacation first. Focus where focus is due. 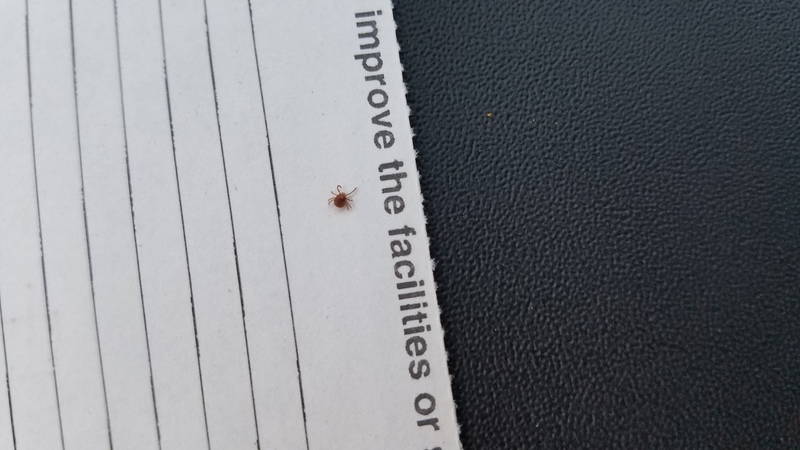 I’m so focused on it, in fact, that I almost scrape this tick off my leg without properly removing it. yeah, that’s probably a deer tick. As dark approaches, we want to sleep outside but a thunderstorm is raging its way towards us, and we’ve got some driving left in us, so we opt for a hotel just outside of Kansas City. Friday is nothing but driving, driving, driving – then falling into Banita’s arms in Denver at the end of a long day. The two of them remind us what home means, and the four of us toast to the beginning of our week-long vacation. In the morning, that vacation will begin in earnest – but for now, only sleep. Kind of makes me wonder how many other diseases we’re not succeptible to that we unwittingly spread. Don’t get me wrong, money is important, too – and you can donate here should you feel so inclined.